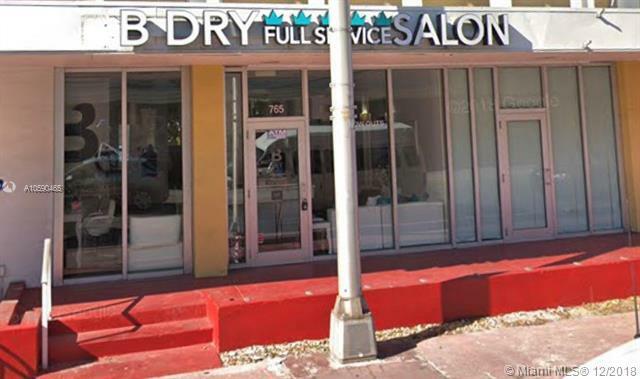 South Beach Beauty Salon surrounded by Hotels, Retailers, Cafes and a 7 floor Parking Garage behind the salon Walking Distance from Lincoln Road. This 1,327 Sq. Ft . Salon has high ceilings and equipped with 11 hair stations, 4 shampoo areas, 2 makeup stations, 2 nail stations, 2 reception area, staff lounge, laundry room and 2 bathrooms. Business has a client base of 29,500 clients plus well situated for walk in clients.